Discover my French student Paul’s very own tarte Tatin recipe – French apple pie – with a twist to it! Follow this step by step recipe & pictures to make your own scrumptious homemade tarte Tatin. OK, look: “Sweet” is not binary. “Sweet” consists of a delightful range of flavors. Unfortunately, granulated cane sugar has reduced “sweet” to an childish, half-mad shout, drowning out subtle, rich, and playful flavors; especially those of fruit. 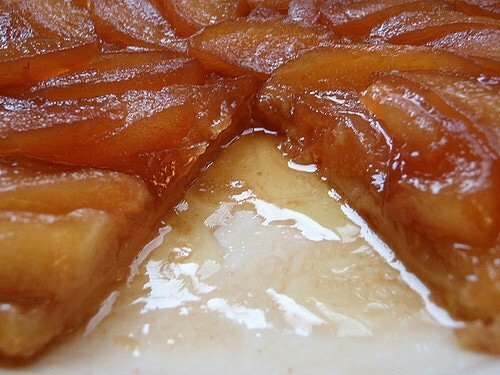 FrenchToday.com’s Tarte Tatin introduces honey in combination with granulated sugar to add a sophisticated touch to this traditional dessert. 60ml (1/4 cup) of honey will yield a “resonance of sweetness” which will delight young and old. Which variety? Be daring! Experiment! Granny Smith: Tart (sour), gets your attention! Use the best all purpose flour available. This recipe requires a 25.4cm (10 inch), cast-iron skillet. No other type of skillet will do! You will love it! So no complaining. Use oven mitts to handle your cast iron skillet. Start with the crust because it will need to be refrigerated while you prepare the filling. Important: Chill your butter. The success of this crust depends on it! Pour the flour, salt, and sugar into a medium bowl. Combine them well with a large spoon. Cut the butter into small pieces and add it to the dry ingredients. With a pastry blender, blend the butter into the dry ingredients until the mixture forms pea-sized grains. Continue to blend and add small amounts of the cold water until the mixture begins to stick. Flour your hands and press the mixture into a ball. Wrap the dough ball with plastic wrap and refrigerate it while you make the filling. Peel and core your apples into 6 or 8 slices each. 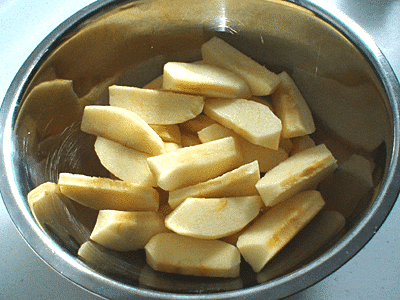 Add the salt, lemon juice, and lemon zest to the apple slices and toss thoroughly. Step 3: Preheat your oven to (195° C.) 380° F.
Note: The golden color is controlled by the temperature at which you melt the butter in this step. 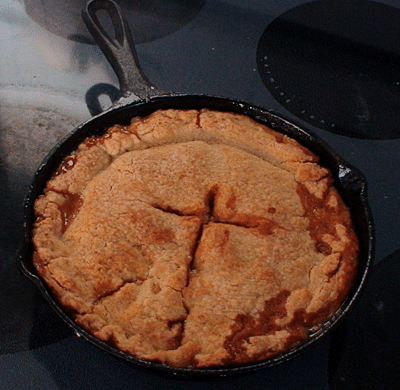 If your skillet is too hot, the butter will become quite brown and your tarte will look muddy. We want a golden brown appearance. So start with low heat. Preheat your cast-iron skillet under low heat and melt the butter. While you stir the butter, add the honey and sugar. Continue to stir and slowly bring the mixture up to medium heat. The mixture will have a granular quality to it at first. As it warms, the texture will become smooth and the color will become light gold. This process will take from 6 to 7 minutes from the time the butter starts to melt until the texture becomes smooth. Remove the skillet from the heat. Use an oven mitt on the handle! You will make two layers of apples in the skillet. 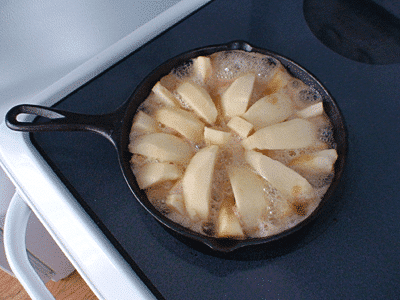 Place the apples into the skillet in a round pattern to form the first layer. Then add a second layer of apples. Let the mixture cool for about 10 minutes. Take the dough from the refrigerator and remove the plastic wrap. 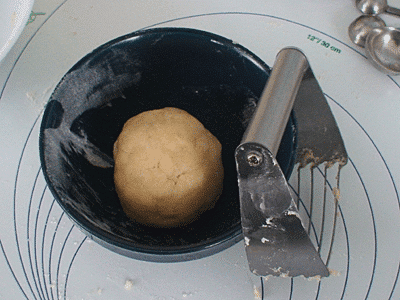 Roll out the dough on a well floured surface to make a circle of 28cm (11 inches). Transfer the dough to the skillet. 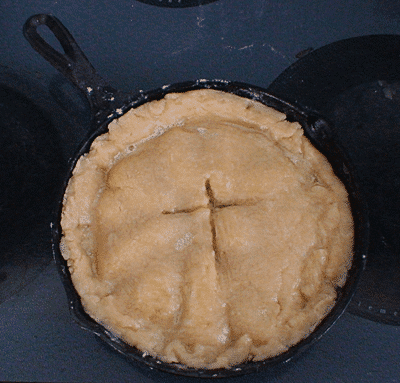 Press the edges of the dough to the inside edges of the skillet. Cut a few vents into the crust. Let everything rest for 5 minutes. Place the skillet into the oven and bake the tarte at 195° C. (380° F.) for 45 minutes or until the crust is golden. Remove the skillet from the oven and let it rest for about 3 minutes. Note: Be careful and remember to use your oven mitts. This is a little tricky, but you can do it! Take a large serving or dinner plate and center it, bottom side up, over the skillet. Hold the plate firmly to the skillet. With an oven mitt, hold the skillet by the handle. Quickly and confidently turn the tarte from the skillet on to the plate. Step 8: Enjoy Your Homemade Tarte Tatin! You can serve your Tarte Tatin warm or cold. Purists say to eat it warm. I prefer to refrigerate the tarte overnight. This allows the honey and apple flavors to harmonize into that resonant chord of sweetness that we talked about. Greetings to you from Ohio! I'm a software engineer and amateur baker in search of the perfect pie crust. It's not in Ohio. Solution? Go to France, of course! I'm looking forward to visiting France for the first time in 2011 for business, pleasure, renewal and maybe some baking. I want to be a respectful, responsible visitor. 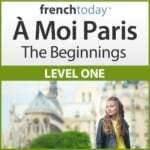 So, I have been studying with Camille since February. 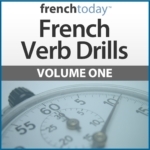 She is a magnificent teacher of French language and culture. Merci mille fois, Camille !